From incessant rocket attacks to threats of annihilation and fears of nuclear attack, Israel is alone in a big world of unfriendly nations. Israel is under intense pressure to give away significant parts of its biblical homeland and to divide Jerusalem, its eternal capital. Israel’s “peace partners” are sworn enemies of Israel and seek its destruction. This is truly a defining moment for the Nation of Israel. The Jews have enriched all the nations in which they have settled-~ because, of the promise given by God to Abraham when he left his land to go to a land of God’s choosing… “And I will make of thee a great nation, and I will bless thee, and make thy name great, and thou shall be a blessing” (Genesis 12:2). According to the Psalmist, God chose Israel for “His peculiar treasure” (Psalm 135:4). 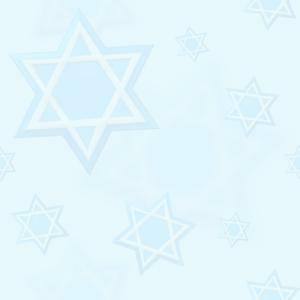 And although it has not often been recognized, the Jews have been a treasure to all nations of the world. Blessings through the Jews-~ even those who hate Jews take advantage daily of their many contributions. For example, those who have heart disease and use ‘Digitalis’ are benefiting from the work of Ludwick Traube. If one has a toothache and uses ‘Novocain,’ he is helped by the work of Carl Koller. If one contracts Typhoid Fever his recovery is likely to be the result of the work of two Jews, Wiedal and Weil. If one has Diabetes and uses Insulin, it is because that product is available through the research of a Jew named, Minkowsky. The list is long; the blessings that came to us are many. In settling in their ancient homeland, the Jews brought blessings to the ARABS who dwelled there. Yes…! This may sound absurd in the light of present conflicts in the Middle East, BUT it is true! The reclamation and anti-malarial work undertaken by early Jewish immigrants have benefited all Arabs in the neighbourhood. And, the Institutions founded with Jewish funds primary to serve the national home have also served the Arab population. The Arab’s charge that the Jews have obtained to large a proportion of good land cannot be maintained. Much of the land of Israel that now carries orange groves were once merely sand dunes and swamps when it was purchased. But if this is true…! Why the Arab-Israeli Conflict? A similar question might also be asked concerning the reaction to Jews all over the world. Why are the Jews so malignant and hated when they are so productive and helpful? There can only be but one explanation – the fulfilment of prophecy; “and you shall become an astonishment, a proverb, and a by-word, among all nations wherever the Lord shall lead you” (Deut 28:37). How did a HITLER happen? How did Hitler become to have such a fanatical hatred of the Jews? From whom and from what source did he get the insane idea that he was “doing the work of the Lord” by exterminating the Jews? And even more disturbing… how did he rally so many educated, cultured, and religious people to follow him in his scheme? It is difficult to understand the often repeated excuse of many German people of that era who say, “We had no idea that Hitler was going to do those terrible things.” Hitler clearly spelled out what he intended to do. In his speeches to great mass rallies, he blatantly spewed out his hatred and his intentions to get rid of them. Hitler actually predicted the extermination of the European Jews before the whole German Parliament on 31st of January, 1939. For many years “Mein Kampf” stood as proof of the blindness and complacency of the world. For in its pages Hitler announced – long before he came to power – a program of blood and terror in a self-revelation of such overwhelming frankness that few among its readers had the courage to believe it. Once again it was demonstrated that there was no more effective method of concealment than the broadest publicity… that such a man could go so far towards realizing his ambitions, and – above all – could find millions of willing tools and helpers; that is a phenomenon the world will ponder for centuries to come. Hitler killed a million Jewish babies just for existing! 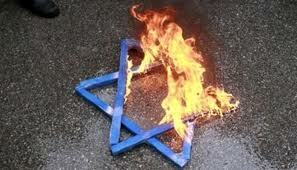 Anti-Semitism - The Core of Nazism-~ One of the major sources to the rise of Nazism in Germany came from within the Church. It was the growing interest in the evolutionary and destructive higher criticism of the Bible in Germany that fuelled the anti-Semitic Nazi war machine and also the fact that Germany had a long history of Christian anti-Semitism, not only from within the Roman Catholic Church, but even from within the Protestant Church. It was Martin Luther, who in his latter years turned upon the Jews with a religious fury, thus paving the way for Adolph Hitler’s plan of Jew elimination. It is perplexing to note that the Nazi movement was started in Munich, in the Southern State of Bavaria. Almost entirely Catholic, Bavaria has for centuries been the most overtly religious region in Germany. Beautiful churches were everywhere, even in the smallest villages. The country side was dotted with prayer stations containing images of Christ, many over a hundred years old and to this day the customary greeting in Bavaria and Austria is literally translated; Greet God! World War II was especially historic to Jews because it was the first time that the world Jewry found them-selves fighting a common enemy since they had battled the Romans in the First Century. In other wars they had patriotically defended the nations in which they had made their homes. Now, recognizing that Hitler was their declared foe, Jews everywhere gave full support to defeating him. While serving the Allies, however, the Jews found themselves in a conflicting situation. Hundreds of thousands of Jews were fleeing before the advancing German army, hoping for entry into Palestine. Incredibly, the doors to that land were closed to them because of Britain’s strict immigration polices. Nevertheless, the Jews gave hand and heart to the war effort, fighting as if the hated white paper that barred entrance to their homeland did not exist. It is doubtful that any people ever suffered as the Jews during World War II when they were the special object of Hitler’s hatred. As the pace of the war increased, so did the mad dictator’s effort to destroy the Jews. When German military successes increased Nazi controlled territory, the nooses around Jewish necks were drawn tighter. And the conquest of adjacent nations meant the encirclement of hundreds of thousands more of the Jews in Europe, who then became raw materials for Hitler’s death factories, targets for his Jew killing machine. Hunger, thirst, and nakedness were only part of the privations and persecutions experienced by the Jews within Hitler’s reach. German technical genius was set to work to build efficient equipment for the total destruction of the Jews. In Hitler’s words, this was to be the “final solution” to the Jewish problem. But without doubt, the most effective Jew killers were the Nazi concentration camps or death factories and there were many. Some of the Largest ones were; Sobibor, Treblinka and the most notorious Auschwitz; like a great industrial complex stretching across the ever enlarging German Empire; the camps were fed by train loads of Jews being the “raw materials.” Hundreds of Thousands of Jews were loaded into cattle cars and shipped like animals to the camps to be processed through the gas chambers and ovens. The story is almost too hideous to tell! Moses had written, “Your life shall hang in doubt before you…” Deuteronomy 28:66. And, the prophecy was literally fulfilled in the concentration camps of Hitler’s murderous final solution. From the “whistle to the smoke”…! The General procedure for Dutch Jews arriving at Auschwitz was to gas them immediately after being unloaded from the train. It’s time to take a shower routine and within 15 minutes the gruesome charade was over and time for the scavengers to begin their work of stripping corpses of any valuables including their gold teeth. From the time of the arrival whistle to the smoke and ashes were only 30 minutes in total. Can the fountain from which such evil deeds flow be anything but satanic? On 26th November, 1945 a statement by a Nazi doctor known for his bitterness towards Jews was published in Nuremburg, Germany admitting the tragedy of his own involvement in the attempted destruction of the Jews, he wrote; we have forsaken God and therefore were forsaken by God… Anti-Semitism distorted our outlook and we made grave errors. It is hard to admit mistakes, but the whole existence of our people is in question. We Nazi’s must have the courage to rid ourselves of ‘anti-Semitism. We have to declare to the youth that it was a mistake! It happened before… and it could happen again! Today we hear the same venomous speech… President of Iran, Mahmoud Ahmadinejad is once again seeking the annihilation of the Jew and the destruction of Israel! And, are we taking notice? Do we hear him? When World War II ended and the full horror of Hitler's 'Final Solution' became known, the world made the vow: “Never again!” In little over 60 years, anti-Semitism is once again on the rise across Europe, the Middle East, USA and even here in South Africa. However, anti-Jewish policies and anti-Jewish actions did not have their beginnings in 1933. For many centuries and in many countries, the Jews have been victims of destructive action. The pastor turned sharply on his heels and walked out of the room. It wasn't long until Father ten Boom was granted this honour. Captured by the Gestapo, the entire household waited to be interrogated. They are among those listed as Righteous among the Nations in Israel and their memory preserved at the Yad VaShem (Holocaust Museum) -~ Christians and non-Jews who helped Jews escape the terrible Nazi killing machine teach us that every person can make a difference. There were different degrees of help: some people gave food to Jews, thrusting an apple into their pocket or leaving food where they would pass on their way to work. Others directed Jews to people who could help them; some sheltered Jews for one night and told them they would have to leave in the morning. They are honoured by the Jewish people and nation of Israel. Sadly, only few assumed the entire responsibility for the Jews’ survival! It is mostly the last group that qualifies for the title of the “Righteous among the Nations:” In the rural areas in Eastern Europe hideouts or bunkers, as they were called, were dug under houses, cowsheds, barns, where the Jews would be concealed from sight. In addition to the threat of death that hung over the Jews' heads, physical conditions in such dark, cold, airless and crowded places over long periods of time were very hard to bear. Those helping Jews lives were terrorized too but would undertake to provide food – not an easy feat for poor families in wartime. Even the removing the excrements and taking care of all these human needs. The Hebrew word for the Holocaust – “shoah” – says it all as it connotes a “sacrifice.” Like smoke rising from the Holy Temple, the colossal Jewish pain and suffering would ascend up to God. He would transform it into new life. The shed blood of ‘martyred Jews’ would act as a nutrient to help bring back the “Olive Tree of Israel” back to life. Anti-Semites are not only the enemies of the Jews, they are their own enemies and the enemies of mankind… All from Pharaoh to Hitler have been horribly judged for having fashioned their sword against God’s people. Czarist Russia has come to an inglorious end as did Hitler and his Nazi’s. Many of these loud mouthed anti-Semites either committed suicide or were slain… but what about the children of Israel? ‘Like Old Man River’ they seem to roll along in spite of it all. Frederick the Great said, “No nation ever persecuted and prospered!” His correct observation is proof of God’s faithfulness in keeping His promise to Abraham. Nebuchadnezzar, Herod, Titus, Czarist of Russia, Hitler and scores of others are witnesses to this truth. 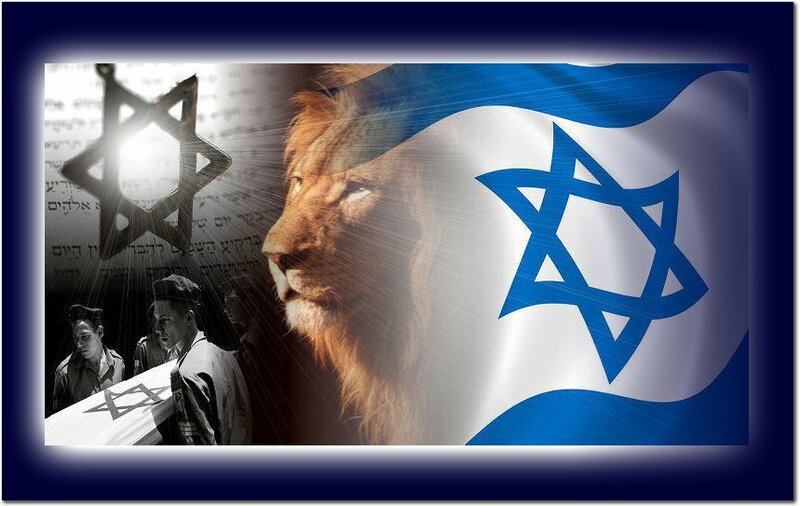 The Jews are here to stay… The Bible says so! God promised Abraham: “I will bless those who bless you (and your descendants); and I will curse those who curse you”(Genesis 12:1-3). We can see that the Germans have paid an awful price for allowing Hitler to lead them down a path contrary to Scripture, by declaring them to be a super race. He wanted to obtain the whole world but gained nothing but eternal damnation and those who followed him lost everything. And we conclude with the fact that as the world blames the tiny State of Israel for all the problems in the Middle East, the Jews today would be hunted down and slaughtered just as they were during WW2… if it were not for the fact that Israel survives, prosperous, and remains the one safe haven for Jews throughout this world. A living, breathing Jew is what makes the Arabs as hostile today as the hostility that pre-dominated an upside down world during WW2. The question is WHO will stand with Israel in her time of need?